We wrote a paper about the implementation details and the math behind breaking ECC2K-130. A totally anonymous version can be found here. You can also follow us on twitter as ECCchallenge. What is this all about? 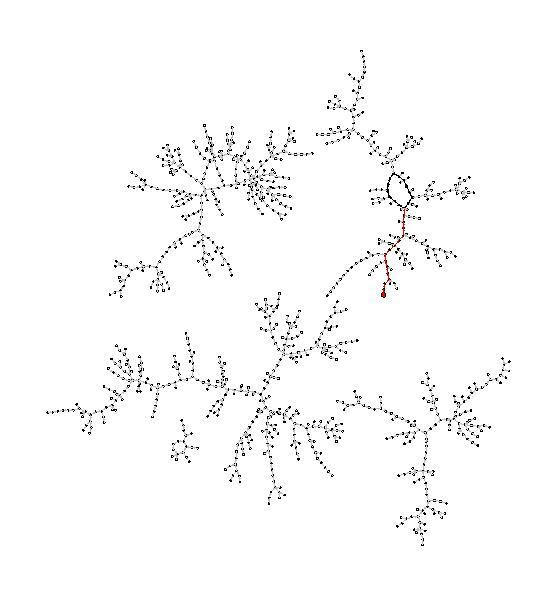 Certicom has published a series of challenges to further the understanding of the Elliptic Curve Discrete Logarithm Problem (ECDLP). The challenge is described on their website, a pdf file with the challenge details is also available as is a list of curve parameters. This webpage describes progress in breaking the Certicom challenge ECC2K-130. We have implemented the attack on CPUs, GPUs, Cells, and FPGAs; this page reports the number of distinguished points found so far (usually with a day or two delay). Finding a distinguished point takes on average 225.27 iterations; we estimate a total computation time of 260.9 iterations (corresponding to finding about 235.63 distinguished points). 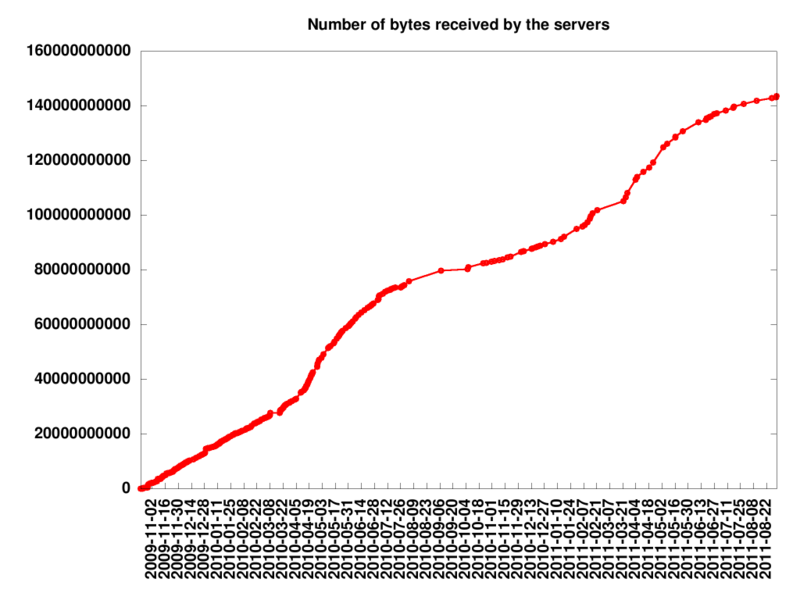 shows the timeline of the total number of distinguished points reported to the central servers since the beginning of the project. A rho within a random walk on 1024 elements. Short walks ending in distinguished points (big circles); the blue and the orange path have found the same distinguished point.